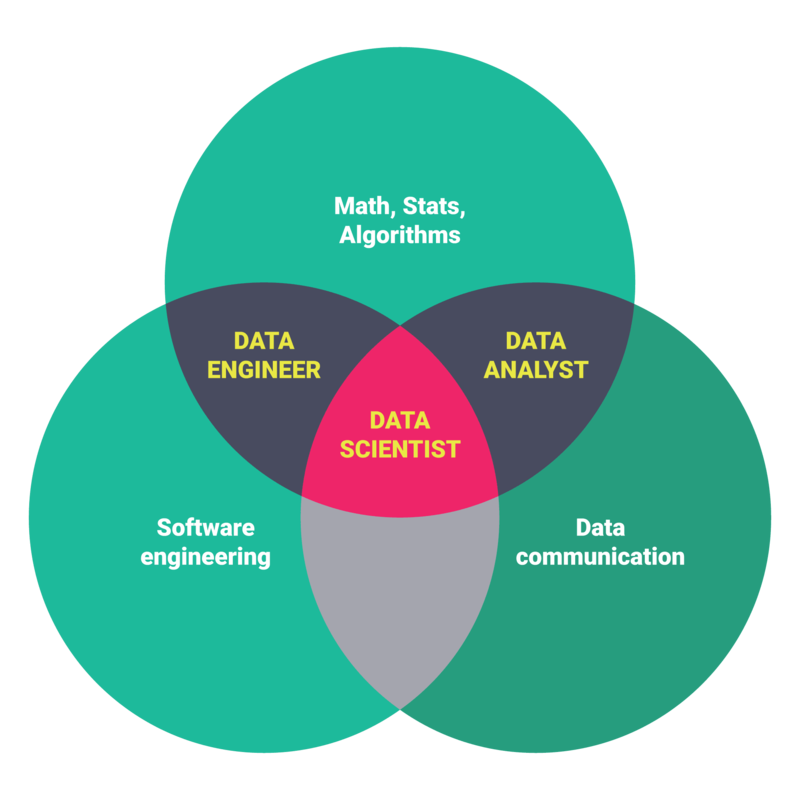 If you’re most suited for data science roles then you can pursue the following data scientist job description to see what your roles and responsibilities will be. You’ll be able to get access to learning resources that will help you become a data scientist and go from looking at a data scientist job description to becoming an industry practitioner. Potential data science employers should also look below for sample templates and projects data scientists are called to embark upon. 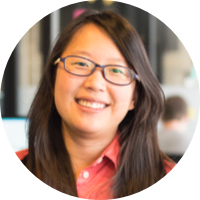 If you’re still new to the data science world, try looking at our tips on data scientist internships. 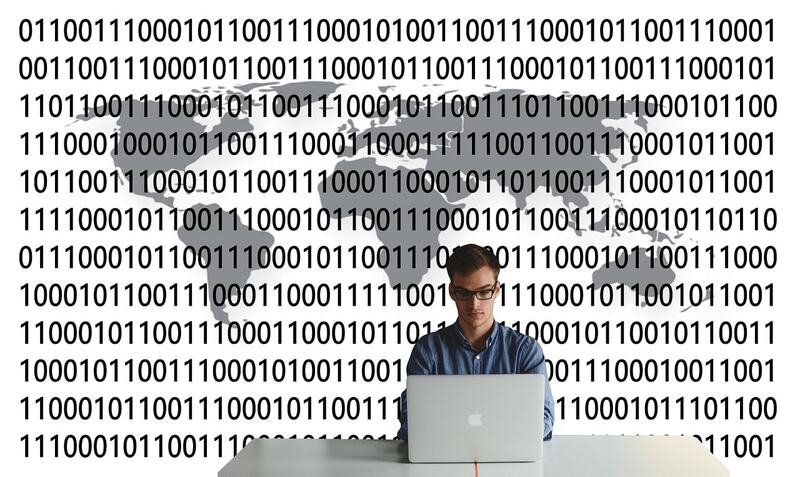 It’s important to distinguish a data scientist from a data analyst or a data engineer. We have a blog post that does this in-depth. The important thing to note is that you’ll be responsible for jobs that span three domains of skills: statistical/mathematical reasoning, business communication/leadership, and programming. You’ll often be tasked with leading data science projects from end to end. Data scientists are often data managers who lead entire teams or organizations towards being data-driven. 1– How to organize and “wrangle” large datasets so that you can get actionable insights from them. This may include finding innovative ways to combine fields of data that don’t naturally mesh together and ensuring good data quality management techniques. 2– How to collect data from all kinds of different sources, from web APIs, to internal databases encoded in SQL. 3– How to do exploratory data analysis so you can navigate a dataset and come out with some broad conclusions based on some initial appraisal (ex: the averages of NBA player performance in a dataset that compares NBA game statistics with player salaries). 4– How to use algorithms and programming to efficiently go through large datasets and apply treatments, filters and conditions to your data. 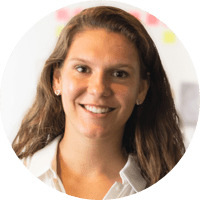 5– How to create meaningful data visualizations that communicate your findings and relate them back to how your insights create business impact. As you can see, the data scientist job definition is no simple beast. It encompasses a variety of skills and tools that one must master before coming into this coveted role. What are some examples of this data scientist job definition in action? At AirBnB, you might look at how customer satisfaction scores play into rebooking and retention of users by building a simple data model. You’ll have to wrangle the data together and tradeoff different statistical insights to see the amount of parameters best suited to predict user behavior. In this case, AirBnB’s data science team figured out that a customer’s LTR (likelihood to recommend AirBnB to a friend on a scale of 1 to 10) was largely predictive of booking behavior, though it was highly correlated with the reviews that client gave. At Yelp, you might look at classifying different images of businesses such that each review page should have a diversity of different pictures for potential customers to consider: from pictures of the food within the restaurant to the decor outside of it. In this case, you would use your engineering skills and knowledge of machine learning concepts to build a system that could do the classification, and you would use the business communication skills you honed to drive business impact with these findings. You might communicate to management the importance of having different images on each review as it drives user engagement and ultimately, revenue, upwards. All of these projects involve combining statistical and programming knowledge in a way that is tied to significant business impact. It involves leveraging all of the skillsets of a data scientist, from algorithms to business savvy. 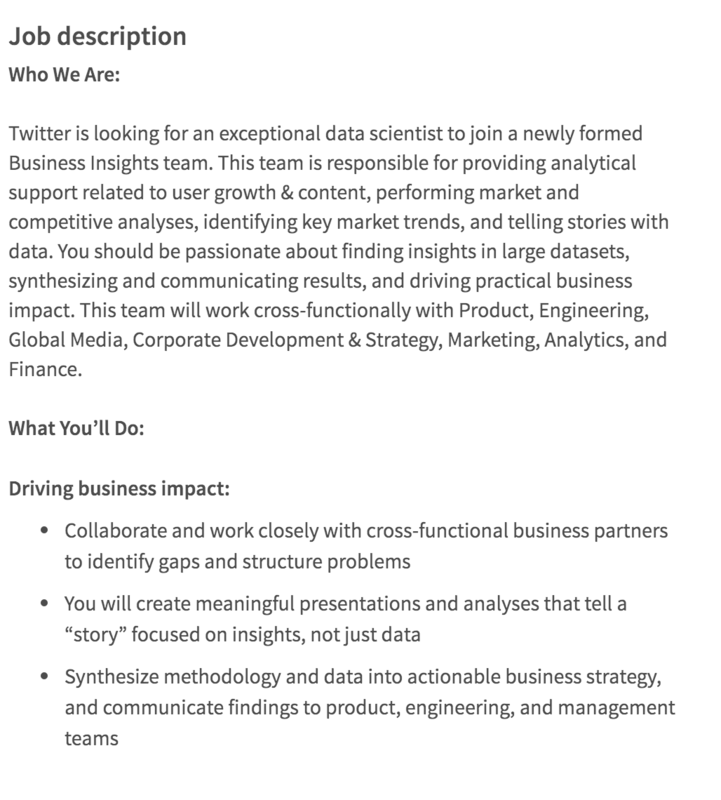 This data scientist job description comes from Twitter via a LinkedIn posting. You can see some of the standard trappings of a job description, from a company description to the company logo. One important thing to note here is the focus on cross-functionality: data scientists will often be called upon to enforce a data driven culture throughout the team and to lead data science projects that will have impact throughout the organization. You can see that data scientists are called upon to distill their insights into visualizations that move people into action. 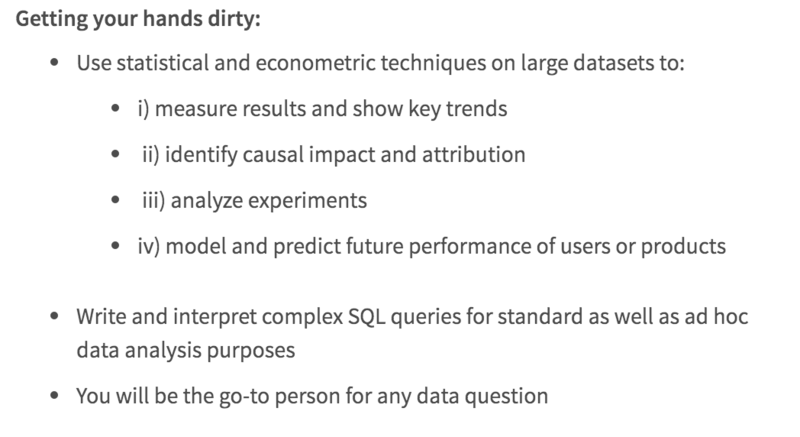 This section demonstrates the statistical and technical approach expected of any data scientist, who must think like a statistician or an economist but who must also be able to get their hands dirty and use programming techniques in order to apply those insights to large amounts of data. For what skills and tools are required, you can expect prerequisites such as an analytical mindset (which most employers use STEM degrees as a proxy for or experience in analytical job roles), a programming language that can query data such as SQL, a programming language that can help with statistical processing of data and a general-purpose language such as Python and experience with data visualization tools as well as big data tools such as Hadoop. Technical skills: Learn R and Python with Datacamp. Mode Analytics offers a great resource to learn SQL interactively. Learn a better way of manipulating data in Python with the Pandas cookbook. Master machine learning and get a handle on deep learning by reading through the latest cutting-edge research. Math/stats skills: Learn the mathematics you need through this StackExchange thread. Take mathematics MOOCs courses designed for data science. Communication skills: The book Resonate will help you create visuals with your data that will move people to impact. We’ve also prepared a list of 31 free data visualization tools you can use to start practicing your skills. 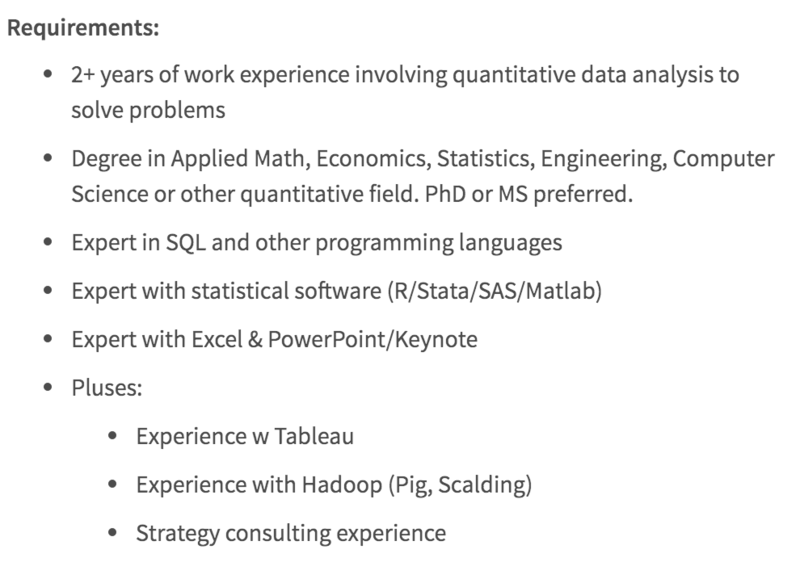 PS: We have a Data Science Intensive workshop that might be a good fit for you if you’re looking to skill up on the tools and skills you see in this data scientist job description! For those of you consider yourselves more entry-level, we also have a Foundations of Data Science workshop. 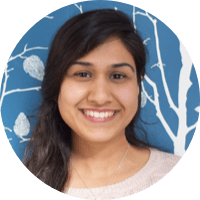 You’ll learn Python and SQL or R with an industry expert who will personally mentor you through everything you need to become a working data scientist.